Hey guys. This is going to be part three in my series “Learning the Letters”. Today, we are going to discuss the Q. 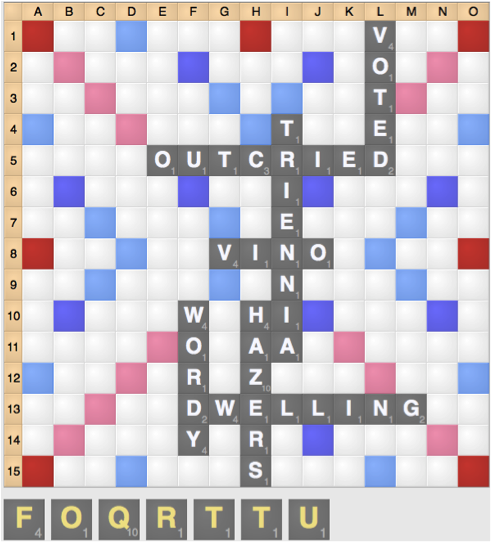 Getting rid of the Q is often a top priority, and often you will have to sacrifice points to either play the Q or create spots where the Q becomes far more playable. While the Q is on your rack, it will always be difficult to score or play a bingo. 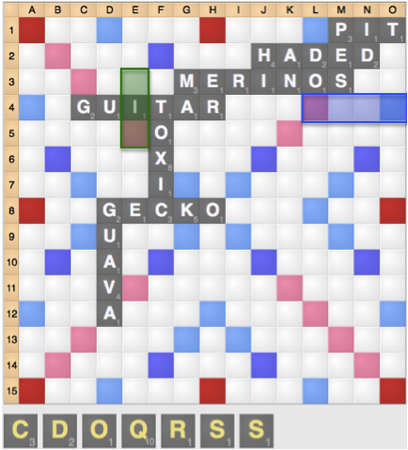 In the left diagram, you should play QIS (green) instead of CORD (blue) since it gets rid of the Q, even though it scores 8 fewer points. 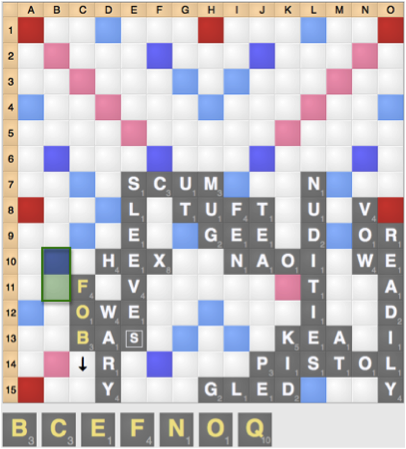 In the right diagram, you should play FOB at 11c instead of 2 spots down because of the possibility of getting rid of the Q by playing QI (green) next turn. One of the unique characteristics of the QU combination is that it usually has a few select spots where it can score. Because of this, the QU combination is a prime candidate for diversions. In this case, a play such as FORTY 14b (22). 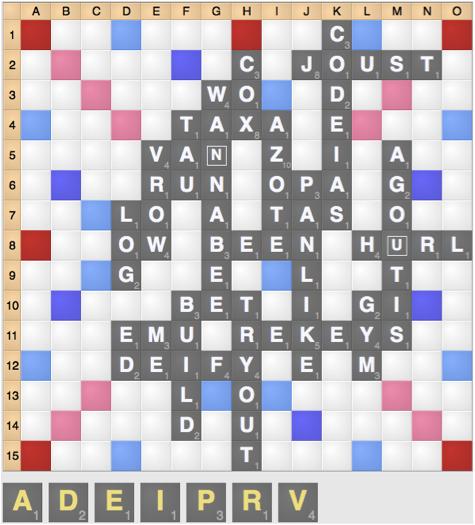 In this case, your opponent only has one place to play the Q (in column n). By playing something like GEN 6m or ION 3m (which also blocks SH plays) you will likely stick your opponent with the Q, giving you a huge advantage in the endgame. 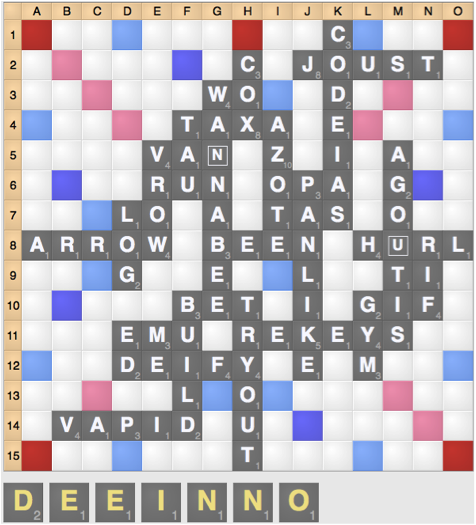 Although you could score more points along column n, if you are behind, you might consider playing VAPID, blocking your opponent’s QIS spots, and leaving n3 as the only available QI spot. Unless your opponent plays QI or TRANQ, they are likely to be stuck with the Q. Making plays like VAPID enable Q-sticks to happen during the endgame.